As winter wanes and spring looms, many athletes choose to announce the bittersweet change of their own season of life, retirement from the sport to embark on a new pursuit. This March, after seven seasons on the U.S. 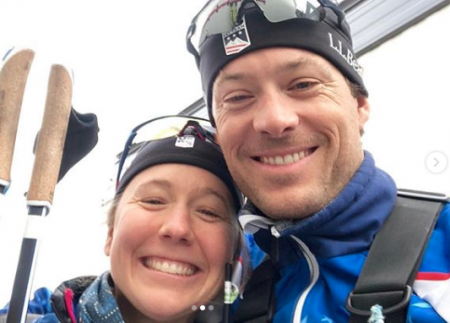 Ski Team, 31-year-old Ida Sargent decided the time had come for something new. When she towed the line in Ruka for her first World Cup of the season, the classic sprint where she took 27th, she was not aware that it would be her last year doing so. Her decision to retire was formalized as the year progressed. At a glance, Sargent has competed in two Olympic Games, Sochi and PyeongChang. She started 148 World Cup races with over a third of those starts resulting in a top-30 finish. Known more for her sprinting than her distance skiing, she was top-10 in nine individual sprint events and one distance event. 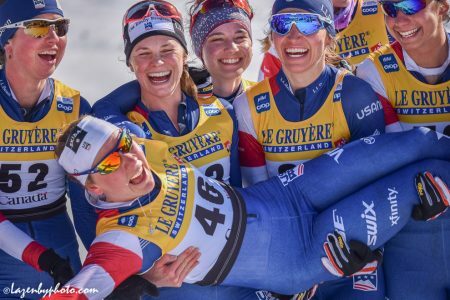 She contributed to two podium finishes in the team sprint with her teammate at both Dartmouth College and the U.S. 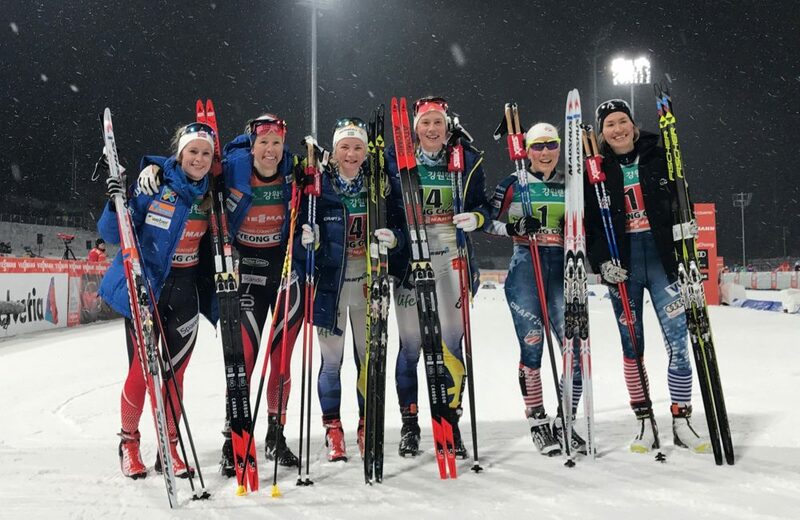 Ski Team, Sophie Caldwell, once in PyeongChang in 2017 and again in Dresden in 2018. She also landed on the podium individually by taking third in the classic sprint in the PyeongChang World Cup races. Domestically, she has 12 individual wins at SuperTour events or U.S. Nationals, and was this year’s national champion in the classic sprint. Her consistency at the top level throughout her career speaks for itself. While these results and the journey to attain them have been a positive and satisfying experience, life on the road has its disadvantages. As the novelty of the World Cup athlete lifestyle wore off, the transience and singular focus weighed on Sargent and became a significant factor in her decision to step away. “I still love the training and I love the racing,” she explained. “But it’s all the time in between the training and racing that I just don’t love – the hanging out in hotel rooms and the time away from home, living out of a duffel bag. That part has been wearing on me, and that was what made me realize that I was ready for a change. While she was burdened by this readiness for change, Sargent was cognizant of not seeming jaded, particularly in front of the group of younger athletes, like USST D-Team members Hailey Swirbul, Julia Kern, Katherine Ogden, and Hannah Halvorsen, who were pulled up to compete at some of the World Cup events this season. She wants only to encourage these women as they continue to chase their dreams. Sargent has been a member of the U.S. Ski team alongside other women who have contributed to the rise and success of American skiing. While the names and faces are changing, Sargent does not feel the momentum will be lost during this transition. With highs and lows, the season progressed and Sargent ruminated about her retirement. 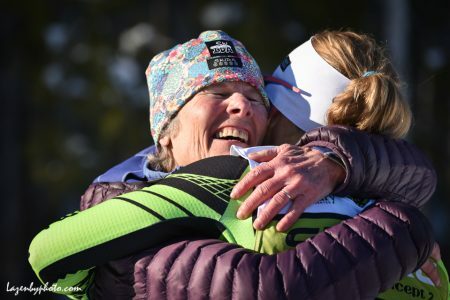 Surprisingly, her decision was not finalized after persistent illness or races that may not have matched her career best, rather, the resolution came after earning the national title in the classic sprint on the trails she grew up skiing in Craftsbury, VT.
She had discussed her decision with her sister and her boyfriend, Pat O’Brien, but had not formally shared her retirement more broadly. Her first time sharing the news beyond that was seemingly equal parts disclosure and realization. In almost 23 years of skiing, Sargent remarkably had only two primary coaches. Her first coach was Pepa Miloucheva, who first worked with Sargent from the time she entered the Bill Koch league at Craftsbury and has since become the director of competitive skiing and the head coach of the Craftsbury Green Racing Project (CGRP) team. When she entered high school at Burke Mountain Academy, Sargent began working with Matt Whitcomb, who is now a coach for the U.S. Ski Team. The only time she was not working with either Whitcomb or Miloucheva was during her time at Dartmouth College, where she was coached by Cami Thompson, and even then, she trained in Craftsbury during the summers. In her professional career, Sargent has trained with Miloucheva and CGRP throughout the summer, transitioning to working with Whitcomb at USST camps and throughout the winter race season. Sargent attributes the steady progress she made throughout her development into an elite skier to predominantly working with these two. While these coaches certainly impacted Sargent’s development, career, and life, her impact on her coaches was equally great. Even from a young age, Sargent loved to compete and demonstrated the potential to be great. Coupled with her natural talent, Sargent is fiercely competitive, but this drive is tempered outside the realm of competition by a genuine care for others. “She was and always has been extremely competitive,” Whitcomb explained. “We laugh about that on our team a little bit – whether it’s a small game in the evening that we’re playing with the team or a World Cup sprint, she’s extremely competitive. 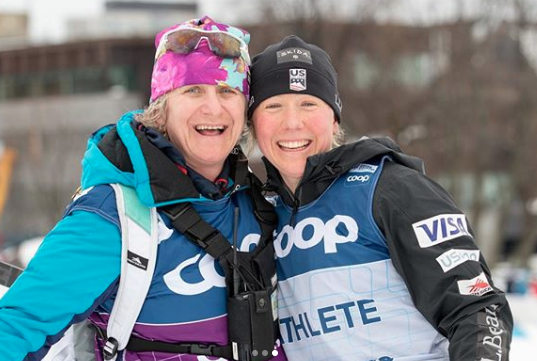 After guiding Sargent from her junior years through her retirement, both Whitcomb and Miloucheva have plenty to be proud of, but the memories the two will look back on most fondly arrived at opposing ends of her career. 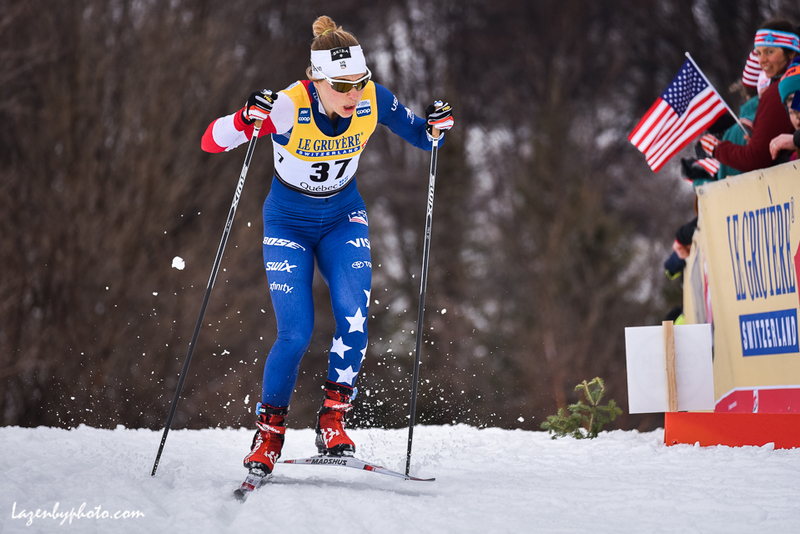 Miloucheva looks back to Sargent’s youth and to her first World Cup race. “When they were young kids, I used to just love when they finish and just look at me and say, ‘Are you proud of us?’” Miloucheva remembered nostalgically. “That was really amazing. I loved when she came from her World Cup and brought me her bib and said ‘Thank you for getting me there.’ It’s all just pretty amazing. Ida Sargent (bib 46) retired from World Cup racing after Sunday’s race. As she reflects back on her own highlights and fondest memories, Sargent sees past her top results to the people with whom the journey was shared. 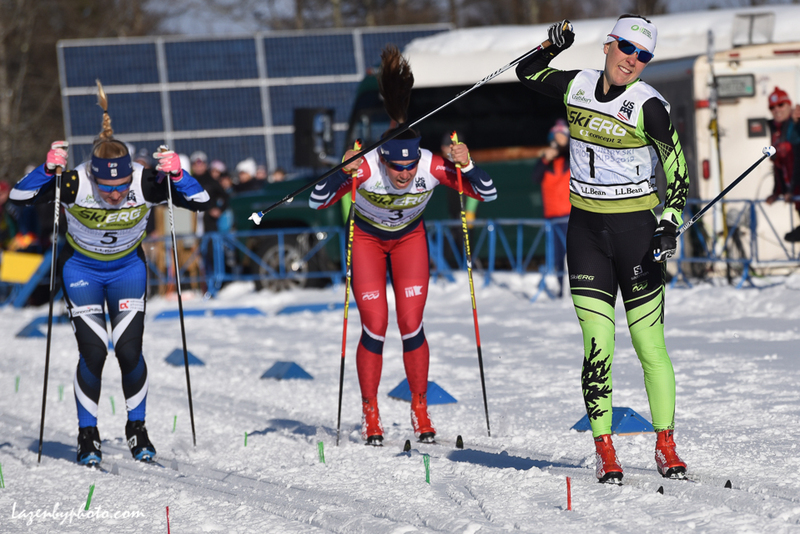 In addition to contributing to the rise of women’s skiing on the national team, Sargent has represented Craftsbury during a time where the center has blossomed into a rich nordic ski community. Her love for the center and gratitude for what is has provided her is clear. While Sargent was served by the Craftsbury community, the community was perhaps equally served by her presence. The fruits of Sargent’s hard work have been an inspiration to other Craftsbury skiers, young and old. “All the younger kids, for them, Ida is like an idol, even now,” said Miloucheva. “When she announced her retirement, all the younger kids, they’re all so sad about the fact that she’s retiring. In the next chapter of her life, Sargent will be heading back to her alma mater, Burke Mountain Academy, where she will teach Biology, Chemistry, and Statistics. She will also live on campus and serve as a dorm parent for boarding students. She does not see herself taking on a major coaching role in the near future, but she does hope to help with the local Bill Koch League to help regrow the cross country ski program in the Burke area. While Burke and Craftsbury are roughly an hour apart, Sargent also hopes to stay involved and to continue to contribute to the community there. The Craftsbury community will certainly welcome Sargent back with open arms in whatever capacity she chooses to stay involved. Finally, Sargent left young skiers with some advice on their journey in the sport based on her own experiences. As Alayna Sonnesyn illuminated earlier this year, after high school, the “pipeline” to making the national team or the Olympics can be difficult to navigate. Sargent explained that the path doesn’t need to be as linear as one might think. “The advice that I would give to young skiers is that there is no one right way to do it. If you start on one path, that doesn’t mean that that is the ultimate path that you’re going to take, it’s easy to do one thing and then if that’s not working or is not what is best at that moment, switch and do something else. After high school, I thought that I wanted to ski full time and wanted to make the national team and just wanted to do that solely and I wasn’t that interested in going to college.